Spring is finally here! It’s time to put away your winter jackets and enjoy the beautiful sunny outdoors. 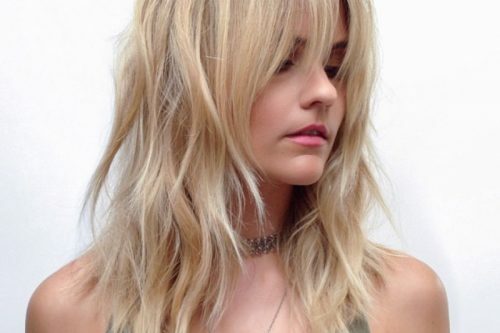 Bloom into a head-turning new mid-length look. 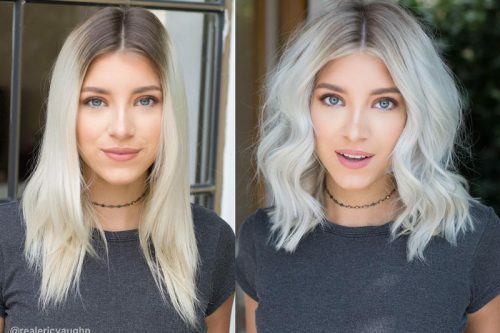 Get inspired by these gorgeous medium hairstyles for spring! Try silky smooth hair with the ends in the front curled under and the ends in the back slightly curled out for a sassy change this season. Blow dry the hair with a large round brush, curling the ends out or in, depending on your preference. Fast Form is a cream gel that allows the hair to be easily sculpted any way you want. 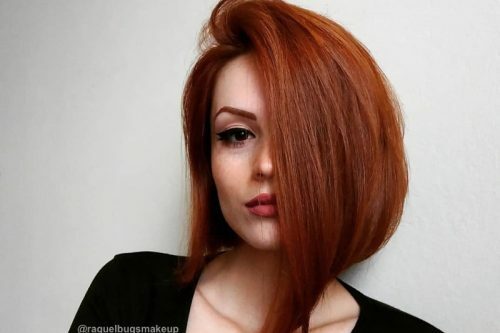 All face shapes with any hair type will suit this hairstyle. 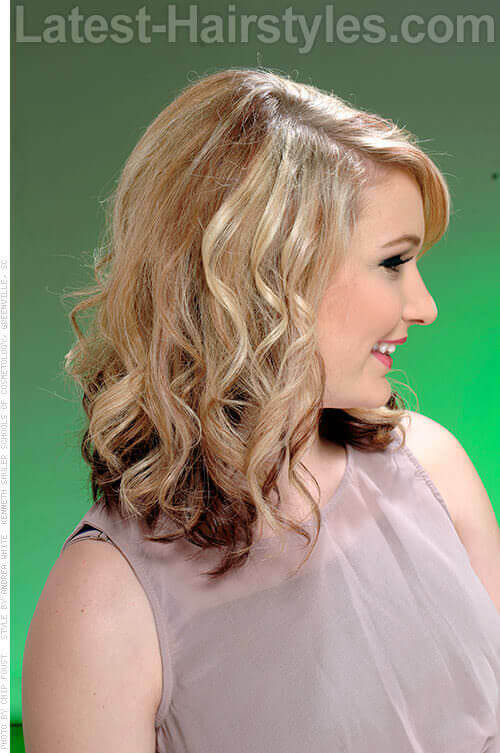 This gorgeous mid-length hairstyle is worn smooth from roots to midshaft, then curled from the midshaft to the ends. Curl the midshaft to the ends of the hair with a medium-sized curling iron. Hot Off The Press is a thermal protection spray that protects hair from the heat of irons. This trendy hairstyle is smooth and straight fro the roots to the mid shaft, with gorgeous curls towards the ends of the hair. Wrap only the midshaft to the ends of a section around a medium-sized curling wand. Spray Wax is wax in aerosol form. It delivers a controlled and even distribution of texture on the hair. All face shapes with hair any texture and density that is low to medium will suit this hairstyle. 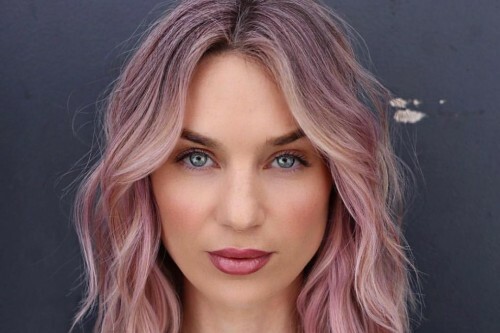 You can never go wrong with beachy waves like these for spring! Wrap sections of hair around a medium barrel curling wand. Expand the hair sideways by randomly lifting sections of hair up while applying a texture spray. Once you have expanded the hair a lot, decrease the volume and add texture by roughing the hair up with fingers. AG Texture Spray gives the hair a lot of texture and volume. This gorgeous spring-inspired style is beachy with a softer feel to it. Mist a texture spray on your hair. Rough up the hair with fingers to create more texture. AG Texture Spray gives hair a textured yet moveable finish. All face shapes with hair that is medium in texture and density wil suit this hairstyle. 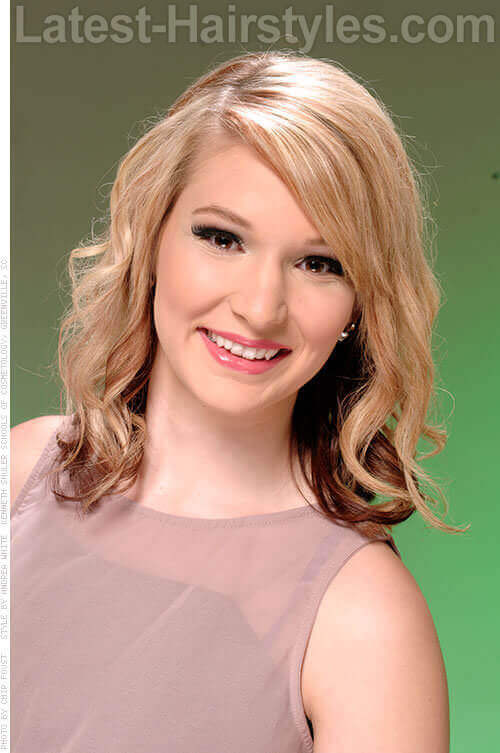 This pretty look features sections of hair curled away from the face and a light teasing at the crown area. 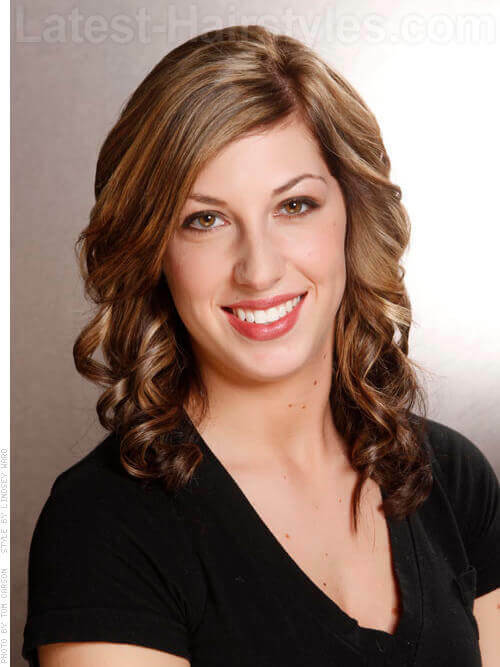 Curl sections of hair away from the face using a medium barrel curling iron. Tease the hair at the crown area using teasing brush or comb. Set the teasing with a firm finishing spray. Set the rest of the hairstyle with a flexible hold finishing spray. Paul Mitchell’s Extra Body Finishing Spray is great at holding up teasing! These lovely, shiny curls curl towards the face for a slightly different take on this popular look. 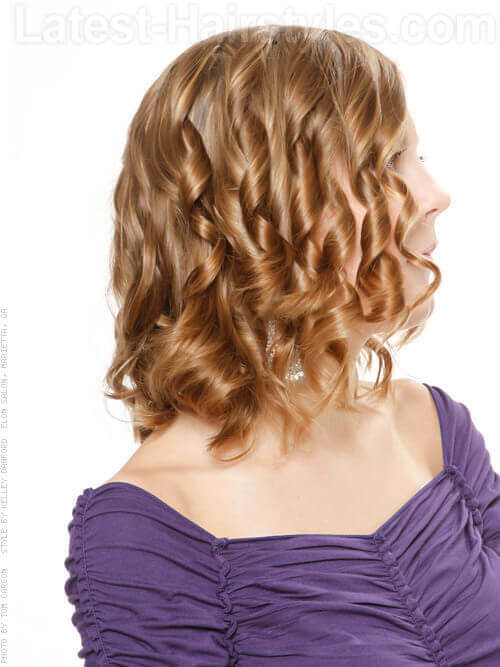 Curl sections of hair towards the face with a medium barrel curling iron. Mist a shine spray to the hair. 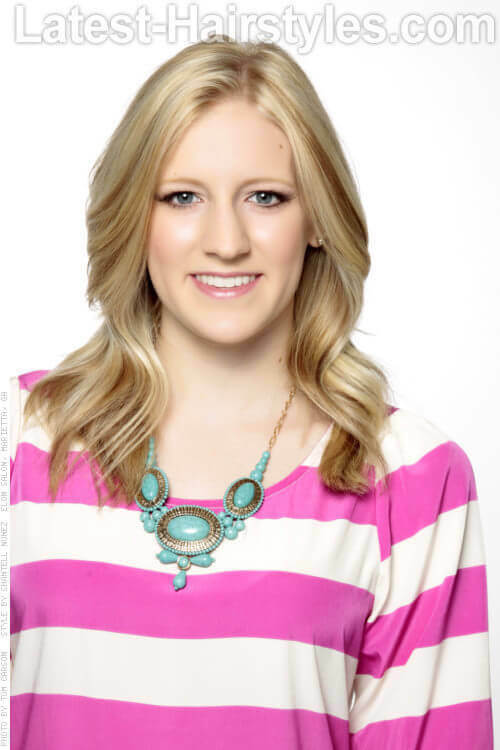 Shine Spray by Kenra Professional is a great way to add shine to the hair without disrupting the style. Longer face shapes with hair that is medium in density and texture will suit this hairstyle. 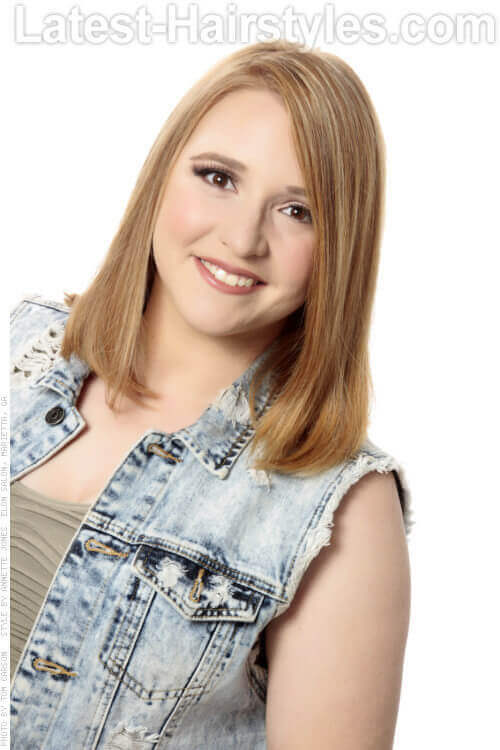 This feminine haircut is layered shorter in the front and longer in the back. It has a long side-swept fringe and is styled with the ends flipping out and backwards. Blow dry sections of hair smooth with a styling brush. Use a flat iron to flip the ends out and backwards. Hold Me Tight is a flexible hold spray with long-lasting hold. 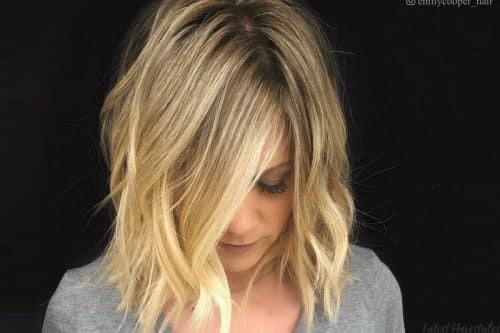 This long bob styled with its naturally curly texture is so on-trend for spring! Scrunch hair to encourage curl formation. Use a diffuser to dry hair completely. Apply a small amount of pomade by scrunching it into your hair for hold. Grooming Pomade is a high-shine pomade by Paul Mitchell. It will give your curls serious shine and hold. 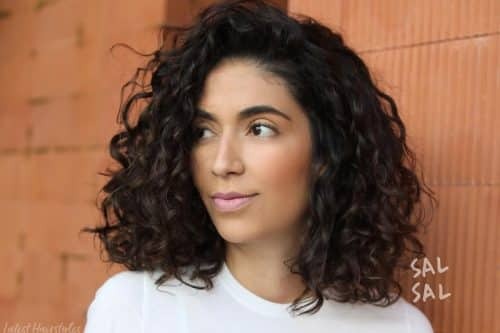 Longer face shapes with hair that is naturally curly will suit this hairstyle. Add layers for spring! 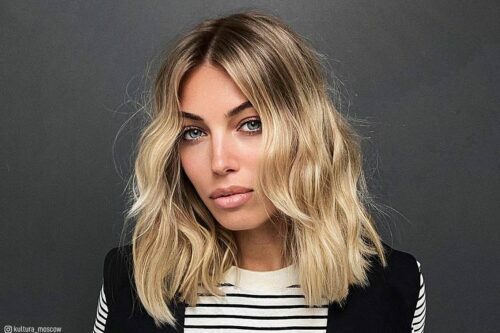 This is a long layered bob that is shorter in the back and longer in the front. The extreme side parting causes the heavier side to appear heavily layered and the lighter side to be not as much. Smooth sections of hair with a flat iron, slightly beveling the ends. Gloss Drops by Paul Mitchell will give the hair a luminous and frizz-free finish. Wider face shapes with hair that is medium in texture and density will suit this hairstyle. This flirty spring hairstyle has tight ribbons of curls curling away the face. Curl sections of hair away from the face using a small barrel iron. Shine Spray allows you to add shine to hair without disrupting the style. 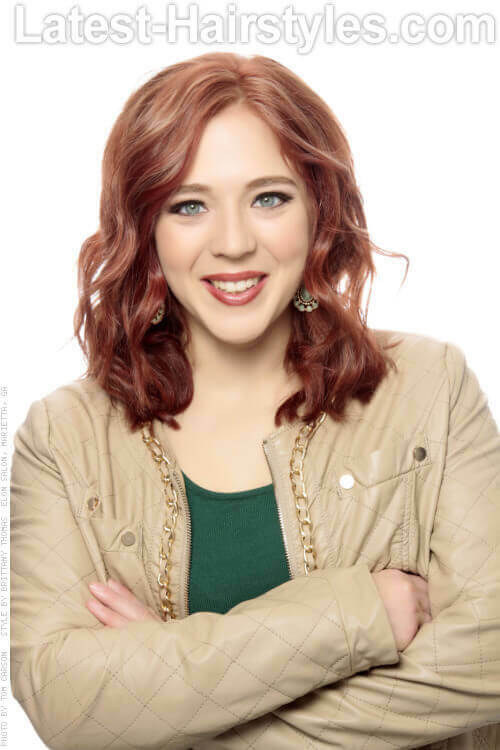 This easy-to-create hairstyle has large, face-flattering curls that spiral away from the face. Curl sections of hair away from the face using a medium-sized barrel iron. Hold Me Tight is a flexible hold spray with long lasting hold. 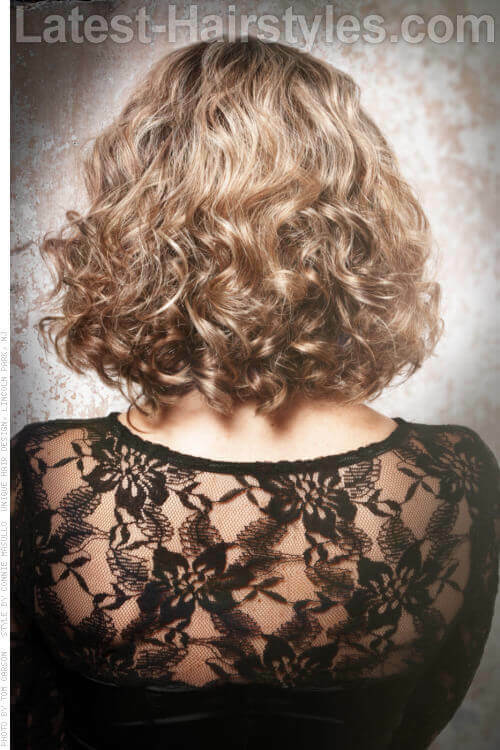 This chic hairstyle is curled only towards the very ends of the hair for a multi-textured finish. Curl sections of hair away from the face using a medium barrel iron. Curl only the middle to the end of each section. Tease the hair at the crown using a comb or teasing brush. Wider face shapes with hair that is medium in texture and in the density will suit this hairstyle. Keep things classy and simple this season with this all-one-length style. Smooth hair even more with a flat iron. Sculpting Foam is a conditioning foam that aids in creating great blowouts. Wider face shapes with hair that is low in density and fine to medium in texture will suit this hairstyle. 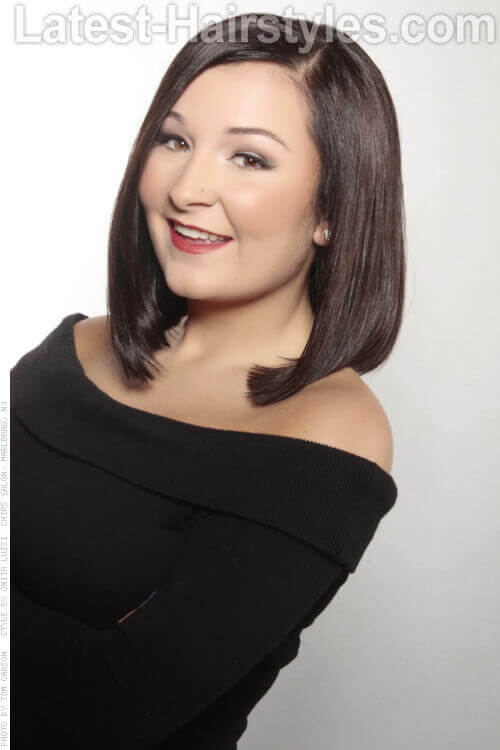 This gorgeous bob is so lightly layered that it’s almost one length. Blow dry sections of hair with a large to medium-sized round brush. Fast Form is a cream gel that allows you to sculpt the hair straight, wavy, or curly. 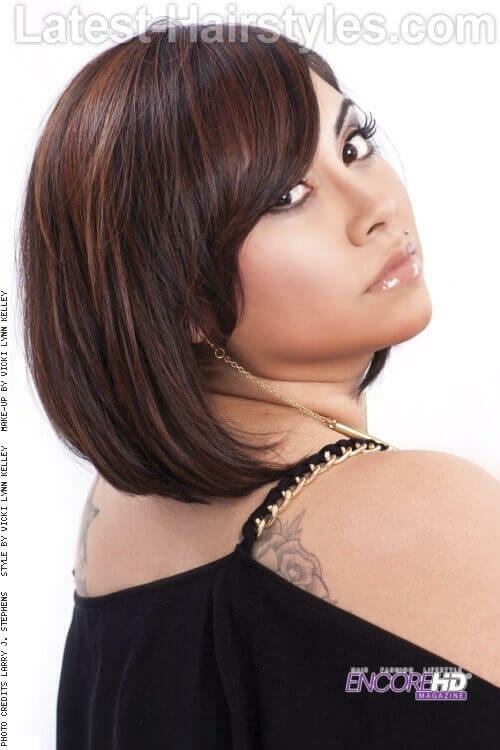 All face shapes with hair that low to medium in density and medium in texture will suit this hairstyle. 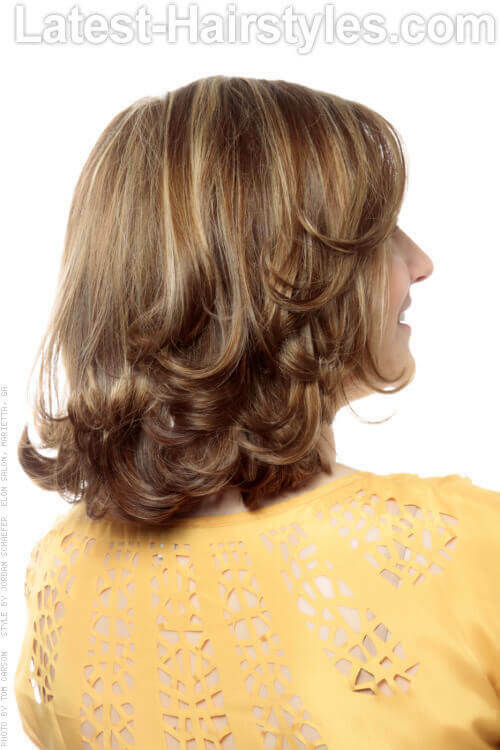 This is a one-length haircut with gorgeous face-framing layers in the front. It is worn with a side part and styled straight with a slight bend at the ends for a chic finish. Gloss Drops adds luminous shine and gets rid of frizz. All face shapes with hair that is medium in texture and density will suit this look. 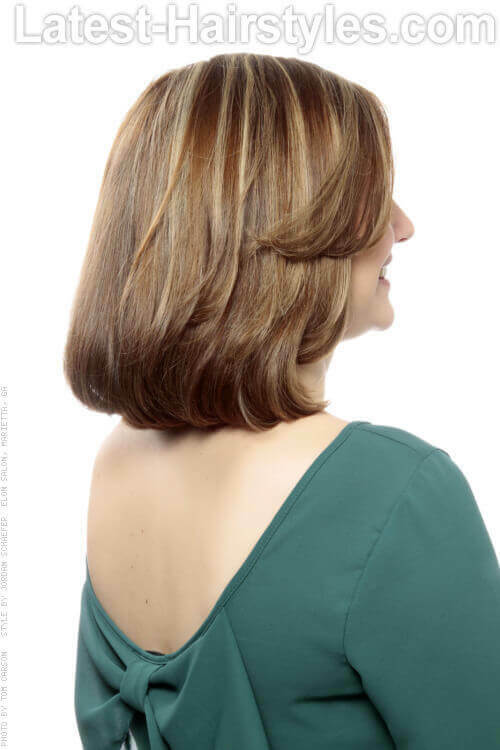 This long bob ends a just few inches from the chin and features a trendy deep side part. It is styled sleek and smooth for a classy finish. 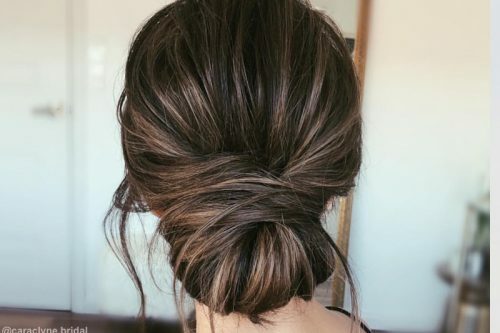 This beautiful hairstyle starts out smooth at the roots and ribbons into a curl towards the ends. Starting an inch away from the roots, smooth sections of hair with a flat iron and begin to ribbon the hair into a curl as you reach the ends. Hold Me Tight is a flexible hold spray that allows hair to have movement and be touchable without the dreaded crunchy look and feeling. Wider face shapes with hair that is meidum in texture and density will suit this hairstyle. 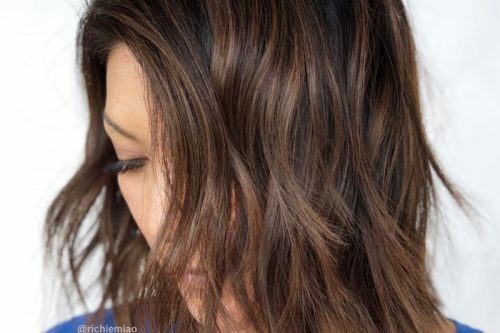 This long layered mid-length haircut is styled with soft flowy waves that continue to be popular this season. Curl sections of hair away from the face. Use a dressing brush to brush through the curls and loosen them. Alterna Bamboo Smooth Anti-Breakage Thermal Protectant Spray protects hair from heat up to 428 degrees. 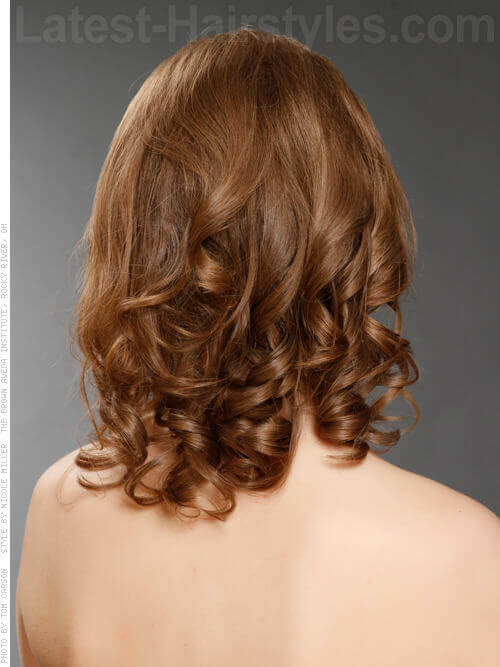 Sections of hair in this hairstyle are curled in different directions, giving it a more natural look. 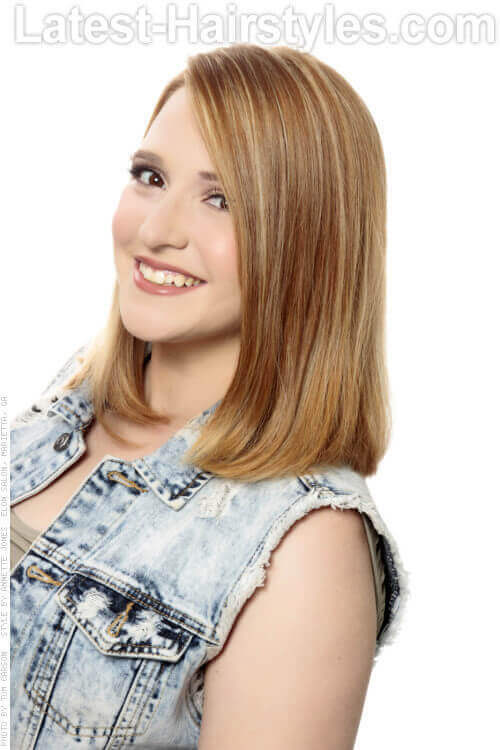 The hair on top of the head is teased for added volume and a flattering finish. Curl sections of hair in different directions using a medium barrel curling iron. Tease the hair on top of the head. Smooth the surface of the teasing with a comb. 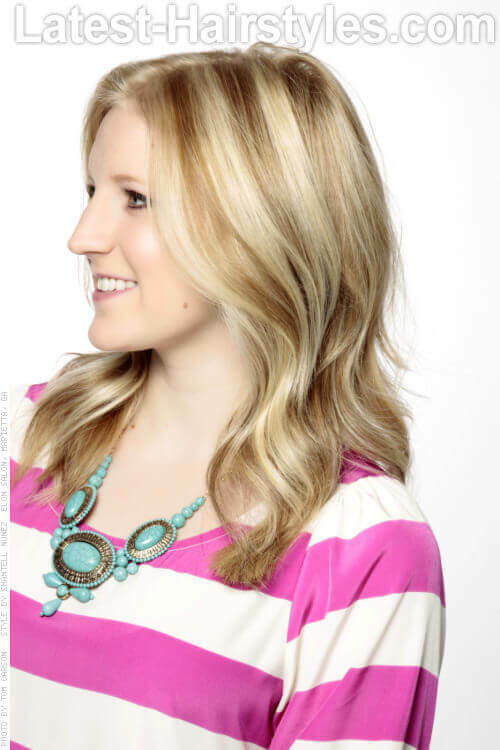 Extra-Body Finishing Spray by Paul Mitchell is great at holding up styles like this! 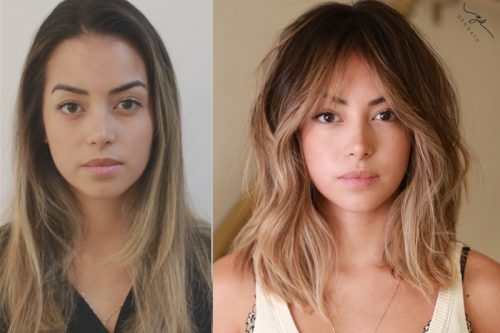 Medium hair is the most versatile length and is so on-trend this spring season. 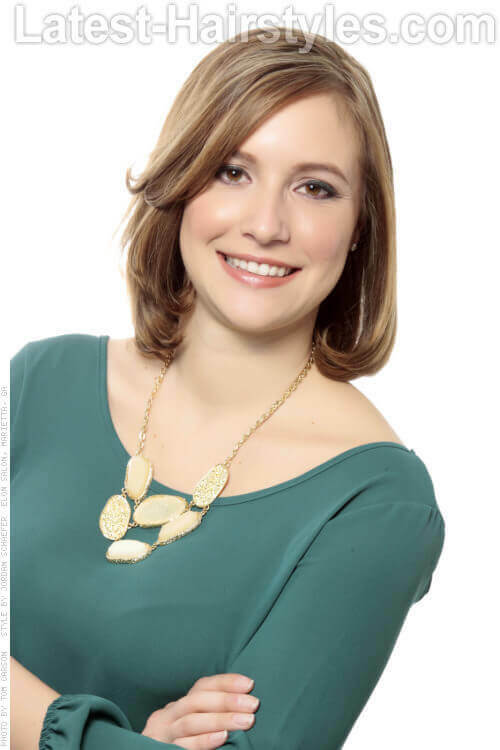 Your hair is short enough to easily be styled, yet long enough to try a variety of looks. Why not mix and match these styles and try a new style every day this season? Have fun!